Everybody wants to have straight teeth and a perfect smile but many people who want to have straight teeth are put off by the thought of having to wear braces for as much as three years. Conventional fixed metal braces are a large sacrifice to make to have straight teeth but now there is a wider choice of modern braces that are discreet and fast-acting. One of the latest innovations in the field of orthodontic teeth straightening is Six-Month Smile braces. The Six-Month Smile treatment can be used to treat a variety of orthodontic straightening needs including problems with crowding, spacing and all forms of bite alignment. The obvious benefits of the Six-Month treatment is that it only takes, and yes you’ve guessed it, six-months to straighten teeth. This is an improvement on average of 75 per cent when compared to more traditional braces. But there are also other benefits to the Six-Month Smile brace. The wires are small, discreet and tooth coloured and very hard to spot unless standing up close to the patient’s mouth. Also, because of the gentle repositioning of teeth discomfort is kept to a minimum. Perhaps more importantly though is that it costs only half the price of other braces, including Invisalign clear plastic braces. If you decide to opt for the Six-Month treatment a dentist will first assess your teeth using photographs, x-rays and dental moulds. The dentists will then be able to tell you whether the braces are suitable for your teeth. If the treatment is suitable you will be fitted with the small, white brackets that are manufactured at the Six-Month laboratory In US. 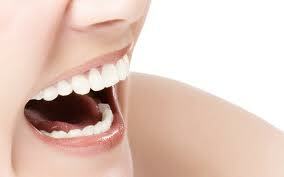 Once fitted you will require short ten-minute appointments every month so that the dentist can assess your progress. 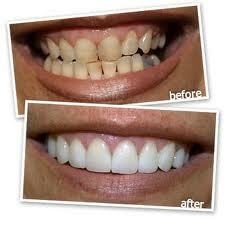 The braces utilise the very latest technology to achieve such rapid results. So quick is the treatment that many patients are using it to straighten teeth before an important social occasion such as a wedding. Because the wires and brackets are all discreet it means patients can generally avoid the stigma attached to wearing braces, especially if in later life.